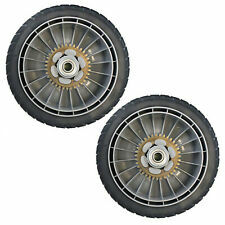 Lawn Mower Rear Wheel Set of 2, Honda 42710-VE2-M02ZE. Set of 2 Honda Rear Wheels. HRT216K1 SDA, HRT216K1 SDA-A, HRT216K1 SDAA. HRT216 SDA, HRT216K1 S3DA, HRT216K1 S3DA-A. HRS216K2 SDAA, HRS216K3 SDAA, HRT216 S3DA. Brand New Genuine MTD Variable Speed Drive Belt... We are an Authorized MTD Dealer... 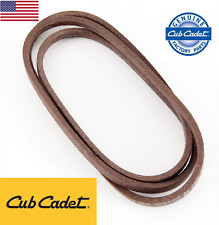 Variable Speed Drive Belt Genuine MTD Part # 954-0467A Width: 5/8" Length: 90-1/2" Fits Specific Brute, Columbia, Craftsman, Cub Cadet, Huskee, MTD, Murray, Troy-Bilt, White Outdoor, Yard Machines & Yard-Man Units Genuine OEM MTD Belt. ORIGINAL BRIGGS & STRATTON CARB KIT #594287 (REPLACES 799248). Part number 406581, 532406581. Husqvarna, Craftsman, Poulan Mulch Cover. Craftsman when model number starts off 917. For Twin Blade 46" deck mower. This includes pulley, bearings, spacer, and snap rings. Double Idler Pulley Part. 5.00 x 5.00 x 40mm Bore. Fits: 2748 GLS, GT160, GT180, GTH2654, HVGTK180, HVGTV160, LT112, LT125, YT120, YT125, YT140, YT161, YTH1120, YTH1542 XP, YTH1848 XPT. 4 WHEEL BUSHING BEARING. Fits: LR 100, LR 110, LR 120, LR 121, LR 122, LR 125, LT 1238, LT 125, LT 130, LT 140, YT 150, YT 160, YT 180, YT 190. PART # GX21833 \ GX20571. The Model number is usually under the seat of your mower. NEW GENUINE OEM JOHN DEERE 48" MOWER BELT. 5 out of 5 stars - NEW OEM JOHN DEERE 48" 100 SERIES MOWER BELT GX21833 GX20571 GENUINE J/DEERE!!!! 21 product ratings21 product ratings - NEW OEM JOHN DEERE 48" 100 SERIES MOWER BELT GX21833 GX20571 GENUINE J/DEERE!!!! PART #790849. GENUINE OEM BRIGGS AND STRATTON AIR VANE SPRING / CHOKE SPRING. USED ON BRIGGS & STRATTON FLAT HEAD ENGINES WITH AUTOMATIC CHOKE SYSTEMS. Briggs & Stratton Diamond Dealer. THIS IS THE SPRING THAT GOES FROM THE CHOKE ARM ABOVE CARBURETOR. Stens Starter Pawl Kit. Craftsman 753-08159. MTD 753-08159. Genuine Kohler Head Gasket Kit 24 841 04-S NEW style updated head gasket, used on both CH, CV, EC, EV 25 thru 30hp (25,730,740,745,750) engines from 725cc to 747cc. Included with the kit are revised tightening torque specifications for bolts and studs and the allowance to nowre-use head bolts and studs. Ferris Blade Set #5101756S. Will fit any Ferris 52" Deck - Including older models without ICD Decks. For 52" ICD Decks. · 5901686 - F160Z Series w/ 52" iCD Mower Deck (F160ZKAV2452CE)-->52" Mower Deck - Housing, Cover, Spindles & Blades (Export). Replaces Part Numbers: 420463, 421825. Works with many 22" Cut Sears Craftmsan, AYP, Husqvarna, and Poulan walk behind mowers. Offset of 9/16", air lift of 13/16". OUR PLEDGE TO YOU Powder coated finish to prevent rust. 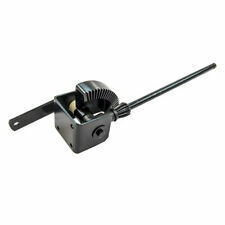 This assembly fits all 2000 Series Cub Cadet Mowers and 3000 Series. Below is a complete list of all the models. CUB CADET ORIGINAL PARTS. We are an authorized Cub Cadet Dealer. OEM MTD Cub Cadet Transmission Shift Cable 746-0935A, 946-0935A. Genuine OEM MTD Product. 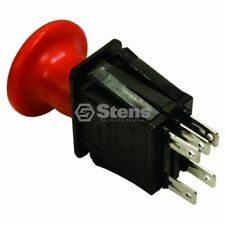 Includes one (1) shift cable as picturedSpecifications Type: Transmission Shift Cable. Part number: 946-0935A, 746-0935A. Brand New (2) Pack of Genuine MTD Hub Caps... We are an Authorized MTD Dealer... Hub Cap (2) Pack Genuine OEM MTD Part # 931-3020 Fits Specific MTD Branded Equipment Genuine OEM MTD Part. · Genuine MTD Part # 725-06153A. · Genuine OEM MTD Part. Fits mtd, cub cadet, troybilt mowers. Briggs & Stratton 10A900, 10B900, 92202, 92232, 93412, 93432, 93452 and 98902. Briggs & Stratton 591420. 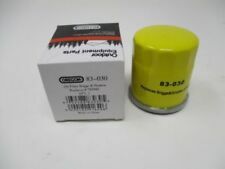 Briggs & Stratton 398593. Briggs & Stratton 496914. Briggs & Stratton 792395. Briggs & Stratton 793281. 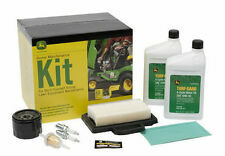 Fits John Deere We are here to help! 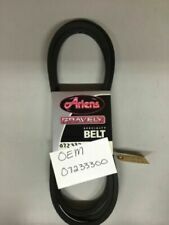 Brand New Genuine MTD Mower Drive Belt... We are an Authorized MTD Dealer... Mower Drive Belt Genuine MTD Part # 954-04249A Width: 5/8" Length: 71" Fits Specific Bolens, Columbia, Craftsman, Cub Cadet, Huskee, Mastercut, Murray, MTD, Troy-Bilt, Yard Machines & Yard-Man Units Genuine OEM MTD Belt. PART # GX22036 \ GX20241. FITS : L100 LA100 LA105 D100 L130. NEW OEM JOHN DEERE BELT. 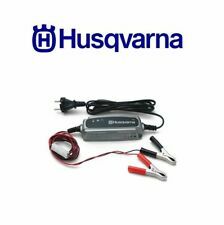 AYP, Craftsman, Husqvarna: 532192507. Trombetta: 862-1241-211-12. AYP, Craftsman, Husqvarna: 192507. Starter Solenoid. PART # 482529. Scag Mower Deck Belt. Kevlar Belt. The Model number is usually under the seat of your mower. Brand New Genuine Husqvarna Drive Control Cable... We are an Authorized Husqvarna Dealer... Drive Control Cable Genuine Husqvarna Part # 583292701 Fits Specific Husqvarna Models Genuine OEM Husqvarna Part Please Note: Does not fit all specs of above models listed, please make sure this fits by model and serial number of your equipment. This is a set of two rubber seat springs that go on the seat suspension on the following John Deere lawn mowers. COMPACT UTILITY TRACTORS. We will make every reasonable effort to correct any problems with your order. JOHN DEERE GY20568. JOHN DEERE GX20250. Fits Models: L120 & L130 SERIES. WIDTH: 2-1/2". Used On The Following Toro / Lawn Boy Model Numbers We are a Toro Master Service Dealer. We are a Toro Master Service Dealer. Part # 104-7401. Part # 114-1588. Stens 100-062 Air Filter Combo. Stens Air Filter Combo. Kohler 16 083 04-S. Kohler: 16 083 04-S, 16 883 04. Kohler: KT715, KT725, KT730, KT735, KT740, KT745 and ZT series with pro performance filtration (low profile air cleaner option). We are glad to help in any way we can. feature and select the ?. button at the top right of your first item. At 1-800 ToolRepair, repair and maintenance of your industrial assets is our core focus.